SUBSCRIBE TO the show BY CLICKING one of the BUTTONS BELOW! 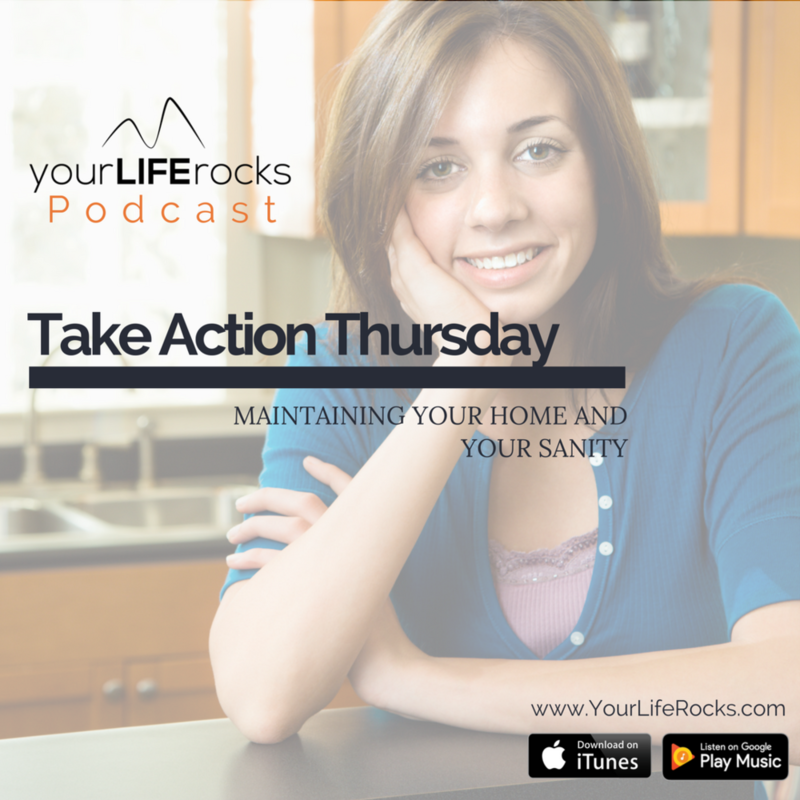 We are all about action here at Your Life Rocks and in this podcast episode, we are talking about housework. While cleaning the house might not be as big of a priority as being a mom, wife, your time with God, or your career but it is something that has a big impact on these things. When things are a mess it can cause guilt, distraction, and a lack of focus on the priorities of life. I have also noticed that my kids function better when the house is picked up and in order. There is less chaos around them and they can focus on the things that matter most to them. We know it’s important, but where do you find the time? In this episode, I share three tips to help you with this. 1. Batch clean. Trying to find time after work to clean the house is rough and can be a disaster waiting to happen. Some experts believe that taking the tasks and spreading them out can help prevent overwhelm, but sometimes we just need to focus on the task and get it done. There is a time to clean and a time to be with family and rest (or drive the kids around to all their functions and your functions after work). This is why I am a big believer in batch cleaning. First, cleaning and picking up are different things. Cleaning is like, really cleaning. If you can hire a housecleaner to do your deeper cleaning for you, awesome. They will come and batch clean your home. If you can’t, you can do it yourself (and with the help of family) on the weekends. For me, it’s part of my Weekly Success Planning and Sunday prep. I have created a cleaning checklist to include in your weekend prep and you can find it inside the Life Balance Membership in the Home section. 2. Pick up 20 things. Like I said before, cleaning is different than picking up. Picking things up each day keeps the house in order. But again, it can seem overwhelming when you have to rush to work in the morning or are exhausted after work. But if you just picked up 20 things you would see a big difference without a lot of time or effort. Plus, it can be a fun game for your kids too. See who can pick up 20 things the fastest. Tell them to pick up 20 things before they play. Tell yourself to pick up 20 things before you leave a room or sit down to watch tv.